Spring and Summer Plantings in the Trough across from the Stevens-Coolidge Place. due to the efforts of our dedicated members! 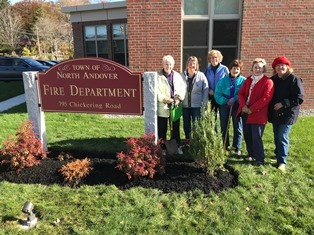 Planting Project at the North Andover Firestation on Chickering Road. Read more about this recently finished project. 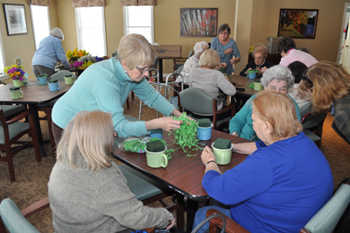 We hold hands-on workshops at local assisted living facilities, where our members work with residents to make beautiful creations they can enjoy in their own rooms. To view our Garden Therapy Creations of past workshops, click here. Each year, the club features several guest speaker programs. 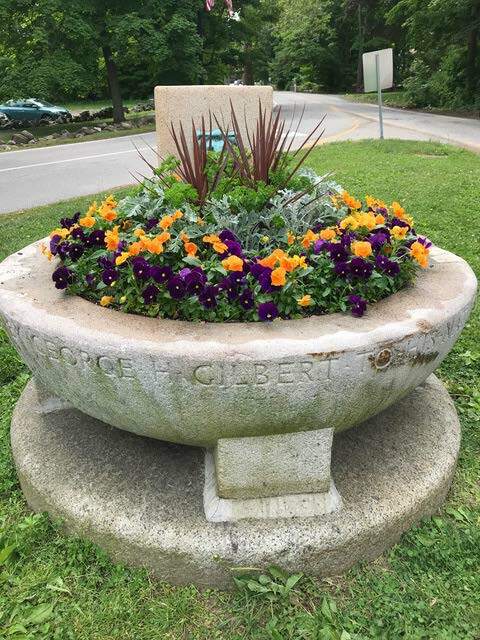 Topics range from flower arranging to perennial garden design to cooking with herbs. Hands-on workshops are also held throughout the year demonstrating skills such as pruning, container plantings, floral centerpieces and much more. 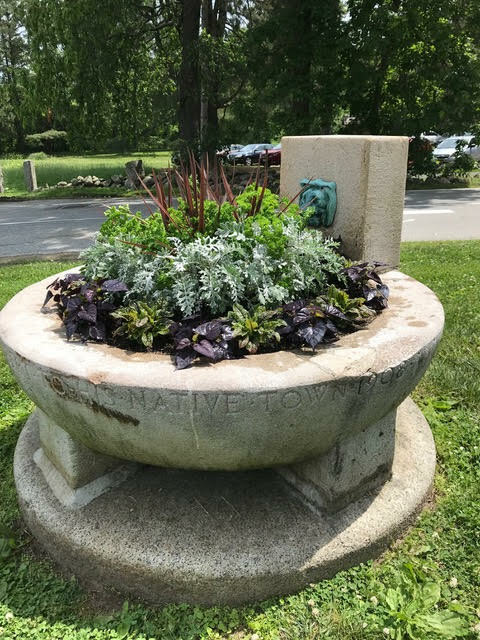 Members provide a floral or plant arrangement each week for the Stevens Memorial Library’s main desk. 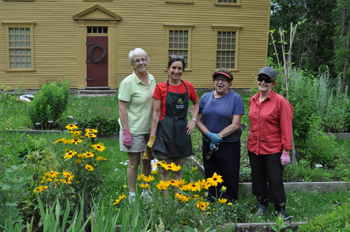 This committee plants and maintains the herb and dye gardens at this historic property. The third minister of the settlement of Andover built the Parson Barnard House in the year 1715, seventy years after the settlement of Andover, and six years after the parish split. Thomas Barnard died in 1718, only three years after the completion of his new house. This house has seen three centuries of history take place in this area, which was the original center of all of Andover, and today the towns of North Andover and Andover. Purchased in 1950 by the North Andover Historical Society, the Parson Barnard House serves as the centerpiece of North Andover history, an icon of preservation, and a physical reminder of our history, ancestors, culture, and civic pride. Today the house is distinctive among historic house museums. Each room in this house represents a different time period, from 1715-1830. Talia Brown - the Environmental Poetry Contest Award Winner!